Yesterday morning I got up and put on my running clothes with a heavy heart. My mind was filled with thoughts about Sherry Arnold and her family. 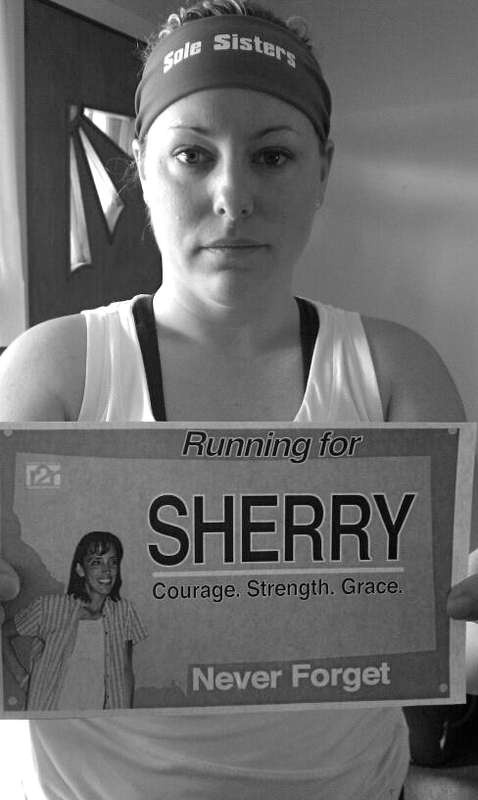 Sherry went out for a run one morning in January and never returned home. She was a wife, a mother, a teacher, and a runner. Two men have since been arrested and one of them has confessed to murder. Sherry's body has yet to be recovered. Sherry's cousin who has the blog, Shut Up + Run, put together a virtual run in honor of Sherry. Now people from all over the world have heard Sherry's story. Hundreds, if not thousands, came together to honor her yesterday by participating in the run. Something beautiful and human from something tragic and monstrous. Several of my Sole Sisters ran in honor of Sherry yesterday. Some of them ran solo and some met to run as a group. Danyelle and I opted to run inside on our treadmills to avoid temps in the 9 to 12 degree range. While I ran I thought about Sherry, her family, and her cousin who started this amazing event to honor her. Then I thought about all the people in her hometown in Montana and across the globe who were contributing positive energy, thoughts, and prayers. Beauty and goodness won yesterday. When I finished my run, I knelt down to say another prayer for Sherry Arnold and her family. I prayed for peace and justice. Rest in peace, Sherry Arnold.